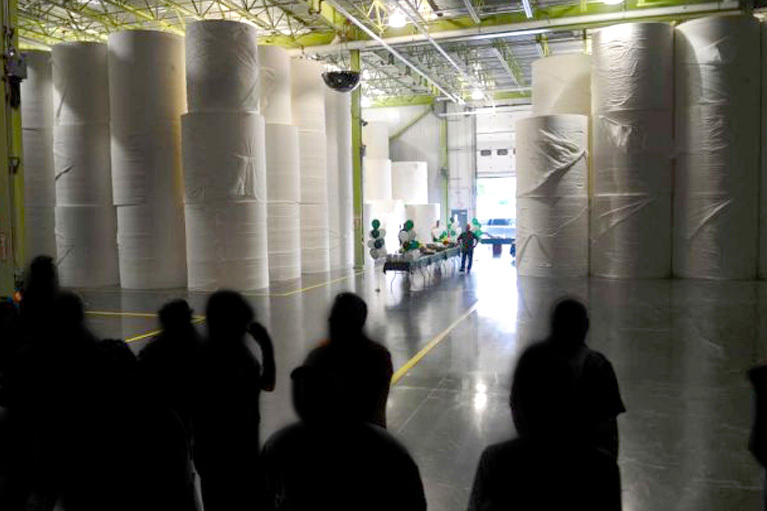 $150 million project included the demolition of nine old buildings and construction of three new buildings (68,000 sq ft in total) to house pulp and paper roll storage including the installation of a new paper machine. Employing 317 currently full time. We are assisting with a special 10 year PILOT and gave sales tax exemption on the construction materials, manufacturing machinery and equipment.